If your Facebook account has ever been compromised, you already know how stressful of a situation it can be. 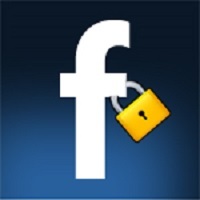 Thankfully, Facebook offers several proven security measures for recovering a hacked account. And as one writer recently learned, it’s incredibly important to take advantage of these tools if you haven’t already. Kellie Hwang of The Arizona Republic woke up on day to discover that her profile picture had been replaced by one of Heath Ledger as the Joker, and most of the font in her account had been translated to Arabic. She visited Facebook’s Help Center to get a recovery code, but every time she requested one, she didn’t receive it. The person who had hacked her profile was beating her to it. Eventually, the hacker locked her out of her account entirely. As of the time of her article’s publication, she still had not recovered it. Hwang said she learned several valuable lessons during the ordeal, namely that she should have utilized Facebook’s security measures in the first place. Some of the security measures that Facebook users can opt in to include two-factor authentication and the “Trusted Contacts” feature that lets you choose friends you can vouch for you. As Hwang found out the hard way, it certainly can’t hurt to sign up for them.